BASF engineers and manufactures a full line of seating materials and components for Aerospace allowing OEM and MRO to optimize weight and strength characteristics, maximize space utilization, and minimize overall size. BASF is committed to providing light weighting solutions for various components of the seat and its structure. 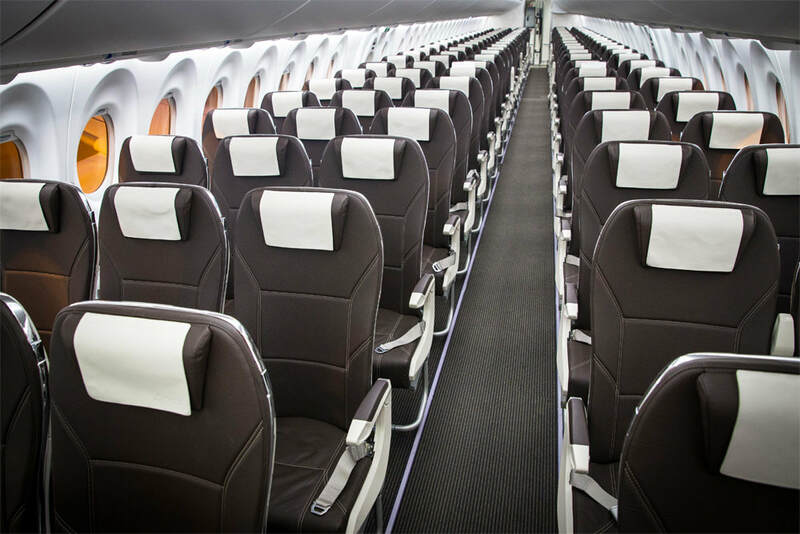 Our continuous fiber reinforced thermoplastics are easy to form and allow design freedom for increased seating comfort while reducing the profile of the seat back. BASF's thermoplastic polyurethanes are an excellent solution for demanding applications requiring toughness, abrasion resistance, and FST compliance. Elastollan Thermoplastic Polyurethane (TPU) allows the design of soft touch and highly abrasion resistant interiors parts such as armrests, electronics housings, and high touch surfaces. FST compliant. Elastollan TPU is a fully recyclable solution for aircraft seating that provides extreme comfort, freedom of design, light weighting, and space savings. FST compliant. Replace rubber with robust, versatile and light PU foams. Lightweight core materials made from Ultrason an alternative to honeycomb. These materials for cabin interior components, such as meal trolleys and latches, combine processability and design flexibility with high tensile and impact strength. Unreinforced and glass reinforced options available. Ultrason PES is a recyclable alternative to polyaramide honeycomb providing 10% weight and 55-65% labor/time savings. These panels have a superior surface finish and damage tolerance. FST and OSU heat release compliant. Recyclable alternative to phenolic prepreg providing production effiecency, time, and labor savings. FST & OSU Compliant. These materials are highly impact resistant, non-flammable and do not delaminate. Catamold metal or ceramic injection molding allows the economical fabrication of highly complex ceramic and metal parts near net shape.